Armidale parkrun is a FREE weekly 5km event for runners of all standards, which takes place every Saturday at 8:00am in SportUNE, SportUNE Drive, Madgwick (Armidale), NSW, 2350. It is not a race against other runners, but a 5k timed run and it can really be whatever you want it to be, whether that's for fun or as part of a training plan. Every week we grab a post parkrun coffee in the SportUNE café - please come and join us! Maybe swap stories about your run that day, chat to other runners over a cup of tea or coffee and just be an important part of this new running community. Armidale City Bowling Club: The Armidale City Bowling Club is a four time Clubs NSW Club of the Year award winner and was recently awarded the Clubs and Community Ambassador of the Year award. Experience their award winning service and recent multimillion dollar renovation today! 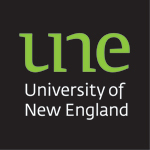 University of New England: The University of New England is located on several sites in Armidale. The northern campus of the University is five kilometres to the northwest of the city centre, in an attractive rural and bushland setting. UNE was the first Australian university established outside a capital city. With a history extending back to the 1920s, UNE has a well-earned reputation as one of Australia's great teaching, training and research universities. SportUNE: SportUNE is considered one of the best university sporting precincts in Australia, offering variety, flexibility and a range of new facilities and services.